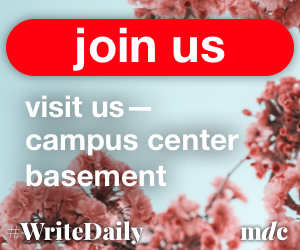 Back on Feb. 1, the Massachusetts men’s basketball team was 5-2 in the Atlantic 10 with three relatively easy games against St. Louis, St. Joseph’s and George Washington on the horizon. 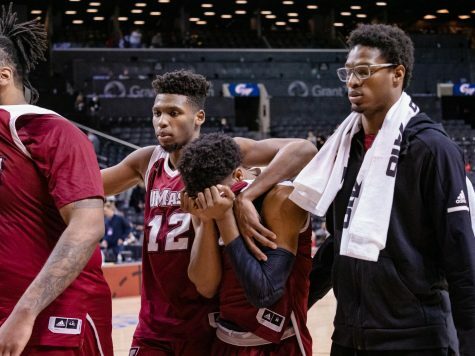 Winning these games would have potentially put the Minutemen (13-11, 5-6 A-10) at the top of the table among A-10 powerhouses Xavier, Richmond and Duquesne. 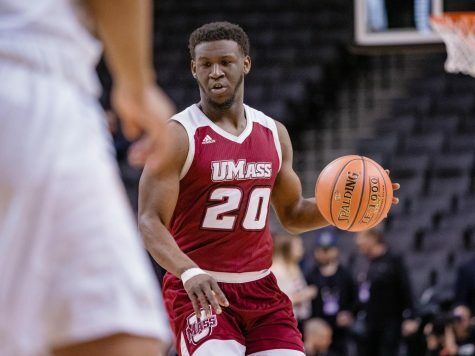 On Wednesday night at the Mullins Center, things went from bad to worse for UMass, as it lost its fourth-straight contest, 81-63, to the Dukes (17-7, 9-2 A-10), which put the Minutemen further away from the A-10 elite. Some of the bad shooting stemmed from guard Anthony Gurley, who went 3-for-13 and scored nine points (19.3 season average). It was Gurley’s second-straight contest where he was held to single-digit scoring. 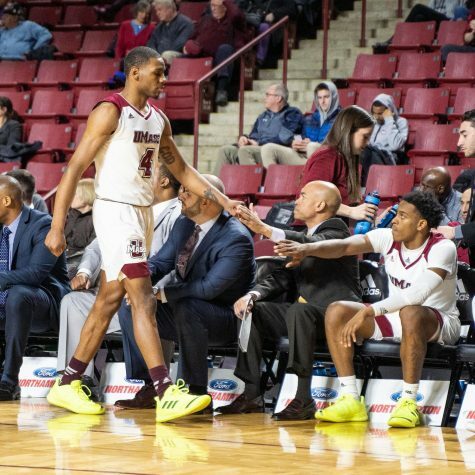 With UMass’ top offensive players struggling, freshman guard Jesse Morgan provided relief for the Minutemen in his first A-10 appearance with 14 points off the bench. 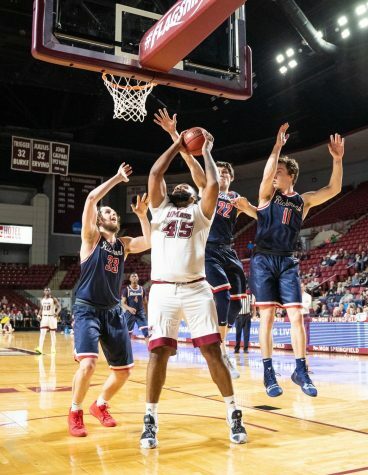 Nicknamed “Takeover” for his ability to shift the momentum of games, Morgan did just that, with drives through the lane and a pair of early 3-pointers which, at the time, made a significant dent in DU’s lead. Forwards Raphiael Putney (10 points, nine rebounds) and Terrell Vinson (12 points, seven rebounds) were right behind Morgan in offensive production. 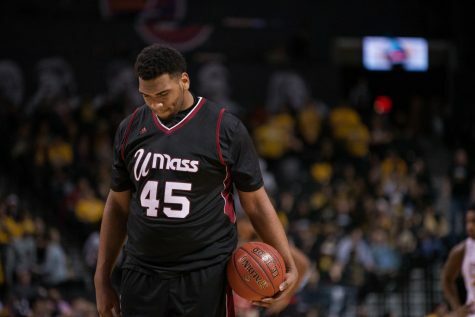 “I was impressed with Raphiael, even though he was probably the guy I yelled at most during the game, because I think he should get every rebound and finish every play,” Kellogg said. 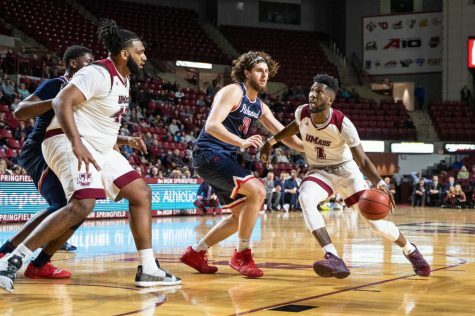 While the UMass offense continued to struggle, its defense was nearly absent against DU on Wednesday. In transition, the Minutemen couldn’t rush back to stop the speeding T.J. McConnell (15 points, four assists), who drove down the court to either score on his own or dish out to a fellow Duke. 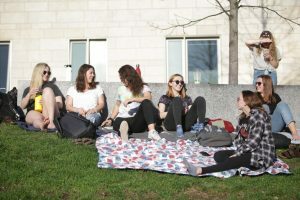 “As much as I didn’t like watching it, because I was coaching against the team, I thought they moved the ball about as good as any team I’ve seen this year,” Kellogg said. 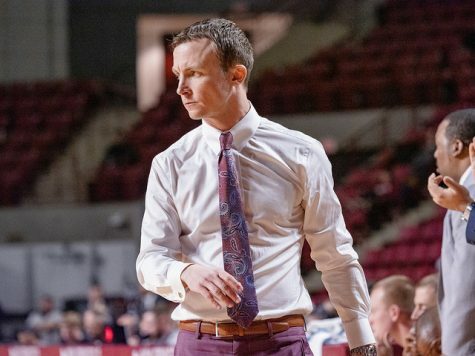 The Minutemen had no rhythm on the defensive end of the floor, which allowed the Dukes to post a 22-point lead in the first half off second-chance opportunities. 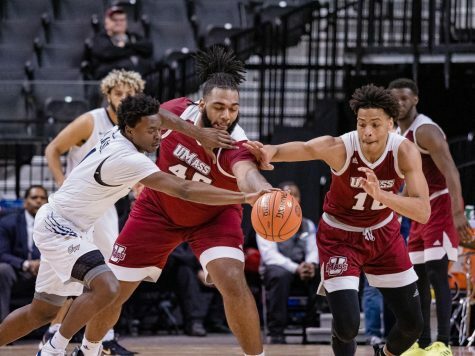 UMass added some extra pressure on the offensive end to close out the first half, however, and cut the deficit from 22 to 13 as it entered the locker room. Morgan’s shooting saved the ailing Minutemen from falling too far behind. The Minutemen shot 10-for-30 in the half, with Morgan’s 3’s serving as the lone UMass outside shots. Gurley was limited to a pair of points in the half. The Minutemen were ghosts in 3-point defense in the second half, as DU shot 6-for-13 from beyond the arc. 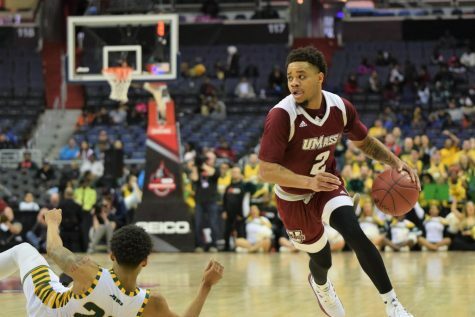 Shots seemed to rain down whenever UMass looked to mount a comeback. 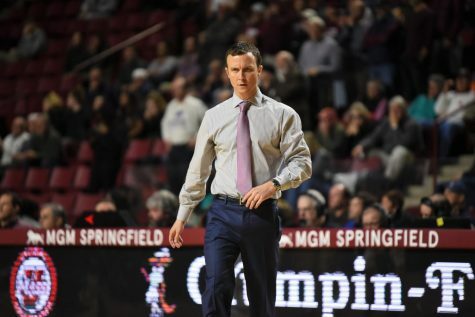 With four-straight losses hanging on their shoulders, the Minutemen travel to face rival Rhode Island in Kingston on Saturday and will look to try and rebuild a season that started off positively.